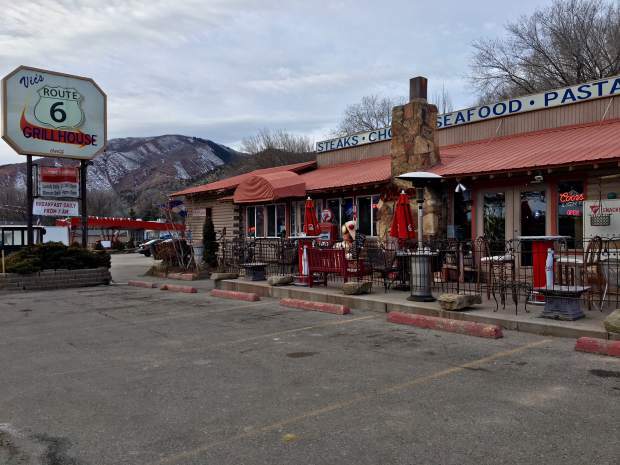 City Council at its Jan. 18 meeting granted a special-use permit for Denver-based Green Solution to open shop in what’s now the Vic’s Route 6 Grill restaurant on U.S. 6 & 24 in West Glenwood. Glenwood Springs’ marijuana trade is poised to expand this year, with the approval last week of what would be the city’s eighth retail shop, if all of the most-recently approved outlets follow through on their plans. Green Solution currently operates 14 locations across the state, with growing and manufacturing facilities in the Denver area, owners Eric and Kyle Speidell said during their presentation to council. The company employs 650 people, and expects to bring 30 jobs to Glenwood Springs with a local hiring preference, Eric Speidell said. Their entry into the market continues a trend toward more Front Range marijuana businesses making their way onto the Western Slope. In late 2016, the city approved plans for Denver-based Native Roots to open one of its “Gas and Grass” combined gas stations and retail marijuana dispensary at the West Glenwood Shell station. 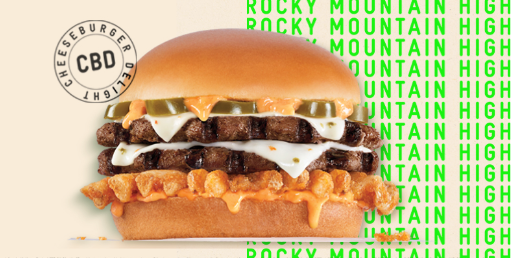 However, the company has yet to act on the permits and, according to a November 2017 report in Denver’s Westword, was still working on details for the site. 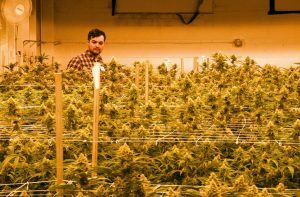 Earlier that same year, the Glenwood council upheld licenses for Roaring Fork Valley-based Osiris LLC to open a combined marijuana cultivation facility and retail outlet on west Devereux Road. Since that time, the greenhouse operation has started up but the retail store has not yet opened. Currently operating in the city are the two Green Dragon locations on South Glen and Devereux Road, the Green Joint and Green Natural Solutions on Grand Avenue, and Martin’s Natural on Sixth Street. City Council had little debate before unanimously approving Green Solution’s plan for the new West Glenwood site. No members of the public turned out to oppose the plans, prompting Councilor Steve Davis to commend the Speidells for an “impressive presentation,” and noting the level of professionalism in the ever-evolving marijuana industry. “We are unique as the combined developer, tenant and landlord,” Eric Speidell said. Green Solution employs state-of-the-art odor control and security systems, he said, and doesn’t get carried away with its exterior appearance. “No green crosses or offensive building designs,” he said. 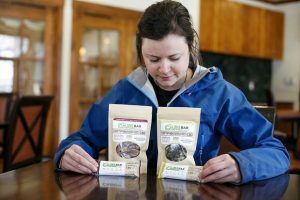 Marijuana products are sold in sealed packages, with no open jars like other stores, thus cutting down on the distinctive odor that can be a problem for some outlets, he said. “When we come into a market, we do tend to elevate the other operators in the community,” Speidell said. The site plan calls for remodeling the existing restaurant building to serve as the marijuana store, with a new facade and an extensive landscaping plan. All of the parking is to be contained in the existing parking lot to the west, eliminating the current back-out parking along the highway, he explained. The store will only sell recreational marijuana, instead of having separate sections and separate inventory as other combined medical and recreational dispensaries are required to maintain, he said. Glenwood Springs collected $248,000 in general sales taxes from marijuana businesses in 2016, and was on track to take in roughly the same amount of taxes last year, as of the November 2017 sales tax report. That represents a $6.7 million yearly marijuana trade for Glenwood Springs. 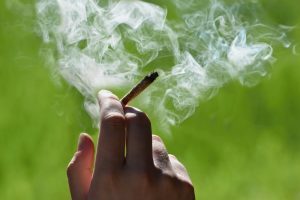 City voters last April also agreed to impose an additional 5 percent dedicated marijuana sales and excise tax on both retail sales and transfer of product in the city. Numbers were not immediately available for 2017 marijuana tax receipts, but the dedicated tax was expected to generate an additional $500,000 in tax revenues for the city based on pre-election sales activity. 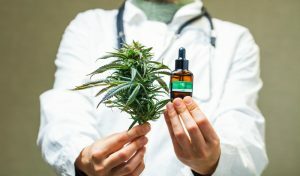 One existing outlet, Green Natural Solutions in the 700 block of Grand Avenue, was authorized to begin selling on the recreational retail market last year, after several years of operating as the city’s only medical-only dispensary.